Pass’n it on Outdoors travels with William to Wyoming on his first Mule Deer Hunt. Wyoming disabled program and Hands of a Sportsman helped William make his Dream Hunt come true! Pass’n it on Outdoors partners with Hands of a Sportsman and Pennsylvania Disabled Hunters Program to give two kids a hunt they will never forget! 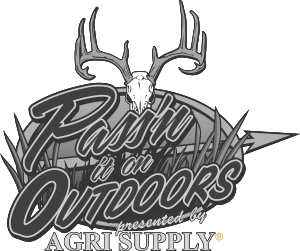 Pass’n it on Outdoors partners with Hands of a Sportsman and Pennsylvania Disabled Hunters Program to give some kids a awesome hunt they will never forget! David and Guy head to the NC mountains and Adam and Heath Jolly heads to some Ohio Game lands. Our show takes three young ladies on their first turkey hunt! Our show along with a local disabled hunt helps a young man have his best hunting season ever. Our show helps a young lady get back in the woods and shot her first deer, Its a hunt you don’t want to miss. Brad and Keith has a awesome day hunting that all bow-hunters dream of. David, Kristin, Paul and Guy head to the Cowden Plantation for the earliest Gun season in America!